The incredible true story of the kidnapping, enslavement, and rescue of Solomon Northup in the era before the Civil Warnow a major motion picture! In 1841, Solomon Northup was a free man living in Saratoga Springs, New York, making a living as a violinist and spending his spare time with his wife and three young children. Lured to Washington, D.C., with the promise of a generous sum of money, Northup finds himself drugged, beaten, and sold before he can even begin to comprehend the tragic turn his life has taken. Twelve torturous years of slavery follow, with Northup passed from owner to owner, plantation to plantation, until his eventual rescue in 1853. 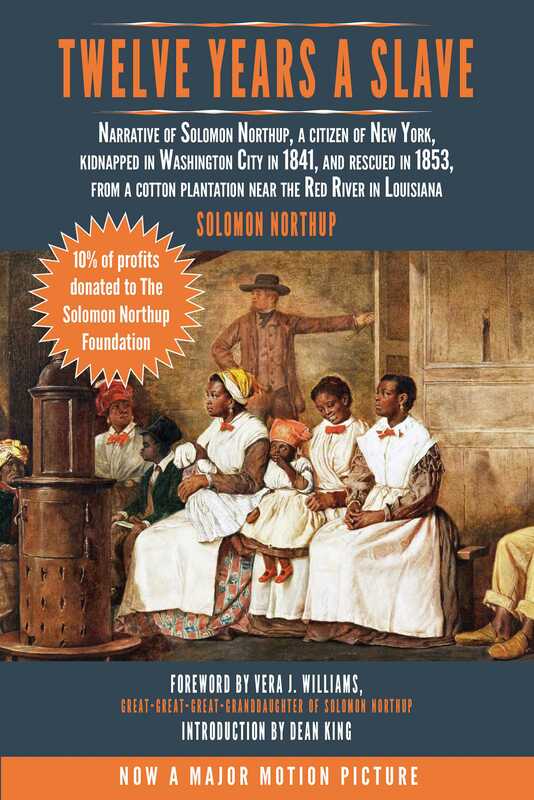 Following his return to New York, Northup wrote and published this extraordinary book, one of the few accounts of American slavery written from the perspective of a man who had been free before being enslaved. Lost for nearly a century, Twelve Years a Slave offers unprecedented details of the slave markets of Washington, D.C., and describes the excruciating life on Southern cotton plantations. In its time, Twelve Years a Slave was a bestseller and ignited a national dialogue on slavery in the years leading up to the Civil War. Northup’s unsparing portrayal of the life of a slave captured minds and eventually divided a nation.